Welcome to Throwback Thursday! 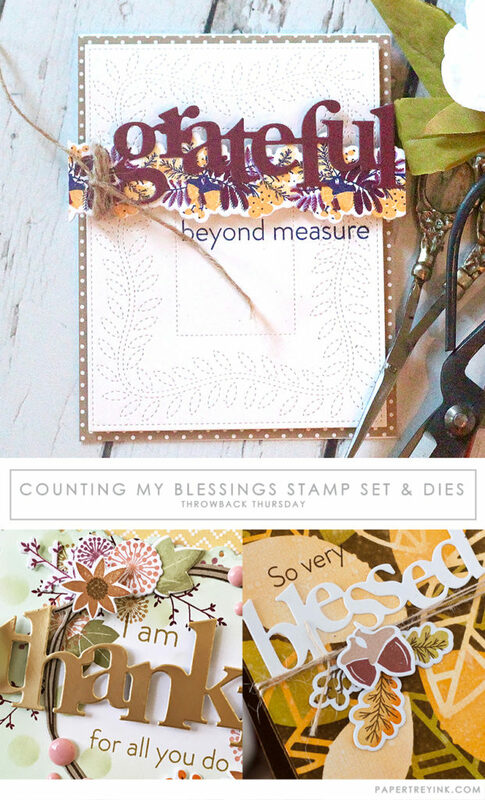 Today, a few of our design team members are revisiting the Counting My Blessings stamp set and coordinating dies. CLICK HERE to visit Stephanie’s blog to see more! One of my favorite sets I use all year & really love for Thanksgiving cards going to friends. Thank you for the inspiration of new ways to use it! I love this set and use it often! I love today’s inspiration!